Following on from yesterday’s rumour, Laura Kate Dale continues to be in a Nintendo Switch news leaking mood and today, she’s talking Beyond Good & Evil 2. 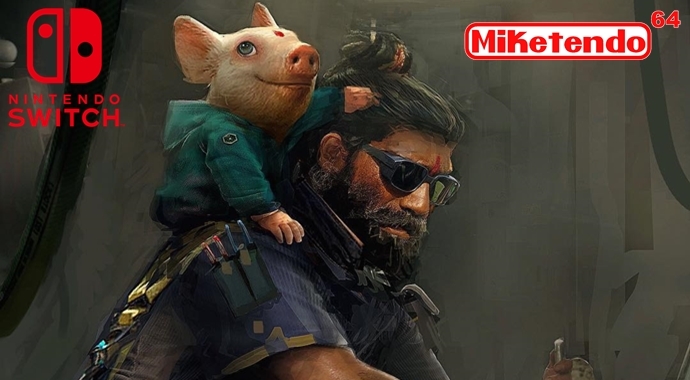 Specifically Dale has reported the codename for Beyond Good & Evil 2 is “Odyssey” and that although it has been previously reported the title will be a Switch exclusive, it’s only going to be exclusive to the Nintendo Switch for 12 months. It will also be available digitally and physically and once the Switch exclusivity window expires, BG&E2 will be releasing on PlayStation4, Xbox One and PC in digital format. Lastly Dale also states that the Odyssey teaser is done and there is a likelihood that it will be shown during the Switch presentation next week, but nearer to the end.